By Garett Sloane . Published on September 13, 2016. Facebook is testing ads that run during live video. The rise of mid-roll video ads is here. With pre-roll such a widely reviled format, discouraging users from sticking around to watch online videos, and post-roll uncomfortably reminiscent of asking for a favor, media companies are finding that the answer is literally somewhere in between. It's not that nobody thought of it before; mid-roll is of course how TV has shown ads for decades. It's that there are more opportunities to sell video ads that way than there were before. 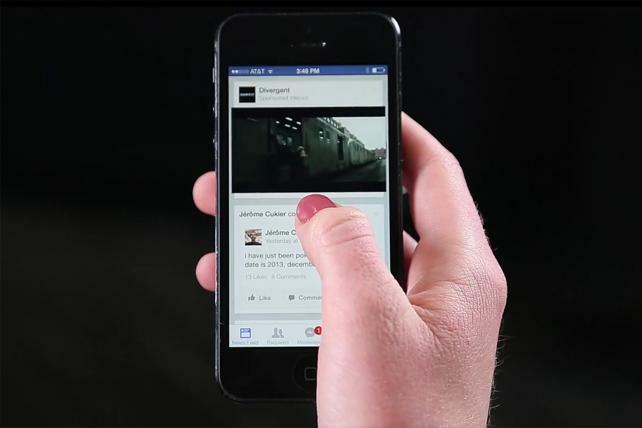 Facebook, for example, is testing mid-roll video ads during live streams from top publishing partners. And Snapchat interrupts its video stories with skippable ads, and Twitter will show football games with typical sponsored breaks. All the video players are trying to figure out whether mid-roll, just like on TV, could be more accepted than pre-roll, according to Paul Bernardini, a spokesman for Ooyala, a video ad technology platform. "Mid-roll is appropriate because the audience is already captive and already invested in the content," Mr. Bernardini said. The amount of mid-roll ad inventory is rising, and not just because Facebook is testing them. Mid-roll accounts for more than 33% of digital video ads in apps, online and through connected, video-streaming boxes like Apple TV, up from 20% at the start of 2015, according to recent figures from Ooyala based on the ads sold through its platform. Pre-roll videos have been on the decline, at least from Ooyala's perspective, and now account for about 60% of inventory, as opposed to 75% at the start of 2015. Mid-roll is also more likely to be viewed fully by users. Commercial breaks in the middle digital videos are watched 90% of the time, whereas pre-roll ads only have a 78% completion rate. Ads at the ends of videos are viewed even less, with a 65% completion rate. Publishers are showing more interest in introducing traditional-style TV breaks to digital. "What we've seen from Facebook live experiences is that the level of engagement is higher," said Gareth Capon, CEO of Grabyo, a digital video technology platform for publishers. "People are watching, sharing, commenting and reacting together. If you flick to sponsorships, people will stick with it." Facebook's Live commercial experiments will even expand to non-live video on the platform, Dan Rose, Facebook's VP-partnerships, told Poynter in a recent interview. The mid-roll commercial could solve another vexing problem for publishers: Too many ads play without sound online. People who are already watching a program, however, are likely to have the sound on when a mid-roll ad starts playing. Publishers certainly hope that mid-roll can deliver on the promise of helping to pay for their video investments. BuzzFeed recently reorganized into separate news and entertainment units, each of which with its own dedicated video team aiming to find wide audiences across social media sites. Business Insider, which generates more than a billion video views a month across all its properties, is testing every type of money-making proposition with the form -- sponsored content, pre-roll ads, and posting primarily to Facebook and Twitter in the case of its brand The Insider. Julie Hansen, president and chief operating officer at Business Insider, said mid-roll could especially work for longer videos online. "If the broadcast duration is long enough and it's a high quality, it doesn't seem to me to be too big of an imposition," Ms Hansen said. "I'd love to see it work."